S 1st row LCD monitor - 6.33"
O Interior Protection Package: Monster mats - Beetle Logo - Black and MuddyBuddy - Trunk Liner - Black. O Total Protection Package: Montster Mats - Beetle Logo Black, MuddyBuddy - Trunk Liner Black, Splash Guards (Front) - Black, and Splash Guards (Rear) - Black. 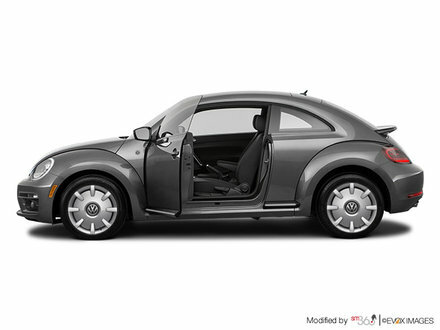 O Sport Appearance Package: Hatch Top Spoiler - Primer, Door Sill Protection Trim with Beetle Logo - Stainless Steel, Sport Pedal Cap Set (Automatic) - Aluminum. O Style Package: Bi-xenon headlights with LED daytime running lights, Front fog lights with static cornering lights, Leather seating surfaces, LED rear licence plate illumination, LED tail lights, Sport comfort seats, and Style Package.